Of all touristic sites Oman was able to place itself as a hub for prestigious hotels in the region. Al Baleed Resort Salalah by Anantara and Anantara Al Jabal Al Akhdar Resort in Oman are recognised as the top Hotels in the Middle East. Since opening at the end of 2016, both resorts have enjoyed remarkable success, garnering world-wide attention and contributing towards the Sultanate of Oman being recognised as a luxury destination. 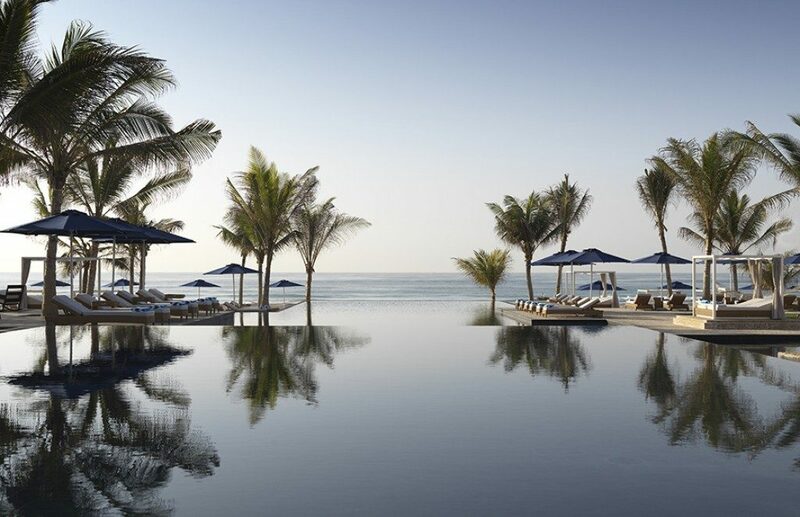 Situated between a long, scenic beach and freshwater lagoon, Al Baleed Resort Salalah by Anantara is the region’s first villa resort, allowing guests to discover the unique charms of southern Oman in total luxury. The hotel is within easy reach of an abundance of cultural and natural attractions enabling guests to take part in an array of authentic experiences, whether it is hiking, diving, kite surfing and fishing or discovering the frankincense trail with visits to ancient ruins and heritage sites. The resort comprises 136 rooms and villas, including 88 one and two-bedroom Pool Villas alongside three dining options showcasing an array of vibrant cuisines and the world-acclaimed Anantara Spa. Meanwhile, magnificently perched 2,000 metres above sea level on the rocky contours of Oman’s ‘Green Mountain’, Anantara Al Jabal Al Akhdar Resort is the highest five star resort in the Middle East. “A scenic-two hour drive from Muscat, the resort’s spectacular surroundings allow guests to immserse themselves into the remarkable landscape with wadi hikes, rock climbing, via ferrata, mountain biking and more. The resort features 82 guest rooms and 33 pool villas, alongside a world-renowned Anantara spa and exquisite dining options,” according to a statement by Condé Nast,which announced the results of its 30th annual Readers’ Choice Awards. Read: End of luxury hotels in the region?